We all know that the photo management and editing features on the iPhone have advanced from the original iPhone OS to the iPhone OS running on current generations of iPhones. However, another discovery from the latest iPhone/iPad SDK Beta shows some indications of advanced editing and photo management features being implemented natively into the OS. 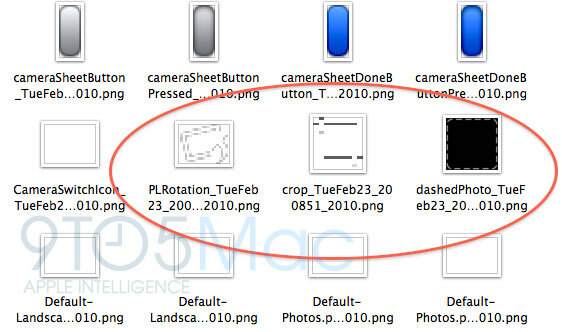 The icons found in the SDK show pretty good proof that there will be rotation and cropping features at the very least. Below is a picture from 9to5mac who originally reported the finding. Keep coming back to BlogsDNA.com for the latest findings in each release of the iPhone/iPad OS SDK Betas. Next Entry: Is Popular Gaming App Steam Coming to Mac OS X?